If you’re a game designer, then you know playtesting is important. We talk about the importance of platesters in Step 11. Today I want to tell everyone how important it is to STOP playtesting! Ok, Ok – it’s a bit click-baity, but here’s what I mean: when you’re playtesting it’s important to know when to stop and move to feedback. I’ve seen (and been a part of) too many playtests where the game is broken but there is an unspoken need to play until the end. I believe this is because we’re all gamers and we all still want to win the game! It’s important to remember when playtesting, that while your actions should lead you towards a winning strategy, whether you win or lose should not matter at all. 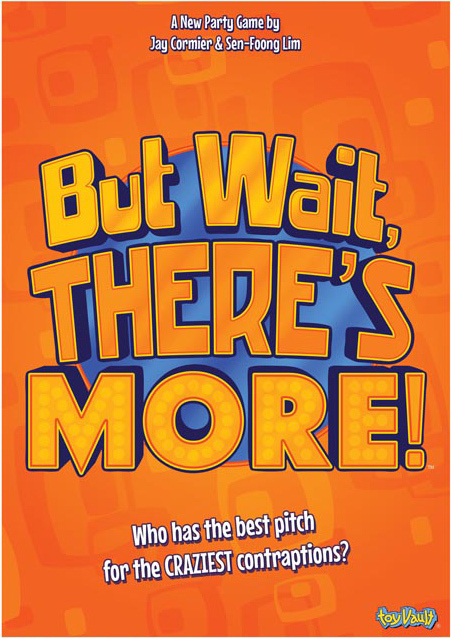 I assume we’ve all been there before – we’re making our way through a playtest and find that there’s an obvious strategy, or that one player has an insurmountable lead, or that one choice is never used and therefore a whole aspect of the game isn’t explored. In these situations the designer should recognize that they will not get any more valuable feedback if the game were to continue. Stop the game right there and move to feedback. If you have enough information on what you need to do next with your game, then there’s no need to keep playing. I’ve found myself asking this out loud to some designers when I feel like I’ve explored as much of the game as I can – “Do you have enough information from this test?” Gently implying that I am done and ready to move onto providing feedback. And you shouldn’t stop playtests only for games that are broken! If the entire group has playtested the game before and you’re testing one new idea or concept – you can play long enough to see if that idea or concept works. Sometimes you only need to play 1/4 or 1/2 of the game to determine if the new idea works or not. That said, there are times where you need to playtest the game end condition of course – so those games do need to be played until the end. Players might need to experience the end game scoring to see how their decisions impacted their score before they’re able to give feedback. Even if you start the game with the intention of testing the end game condition, and the game breaks down midway – then you should stop playtesting and move to feedback. You can even let people know that this is the last round before scoring – so they can see how they were doing so far. 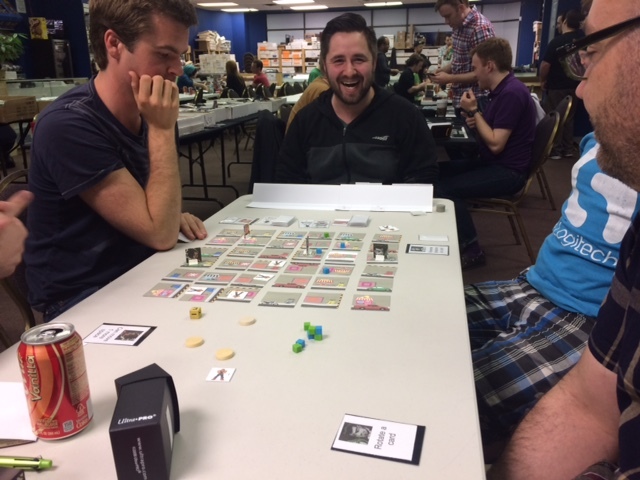 The bottom line is that when you have playtesters ready to test your game, then cherish that time and use it as wisely as you can! It’s much better to get 2-3 tests in one sitting rather than one long test. If your game is broken and it can be tweaked with a rule amendment or by taking a pen to some of your components, then do that and set it up and play it again! That will be a much better use of your time – and of your playtesters’ time. What do you think? Is it important to playtest to the end? How long do you spend playtesting one game before moving to feedback? Two new reviews have popped up for our new party game, But Wait There’s More! We’re loving seeing these reviews and seeing that people are enjoying the game and getting a lot of laughs out of it! Thanks for the reviews everyone!! We’ve just been given the thumbs up to post our advanced rules to our game, Tortuga from Queen Games. The advanced rules use the same components (less actually!) and provide some ways to mitigate some of the luck and add some more strategic decisions. Now you can sacrifice any die to place it on any Icon – but at a value of 1. While this might seem weird to do – we’ve also changed how you resolve each Icon. Now – everyone who places at least 1 die on boats, crew and treasure will get some benefit! That makes those sacrificed dice with a value of 1 pretty valuable. Now if you really need crew – you can always get at least 1 crew in a turn. 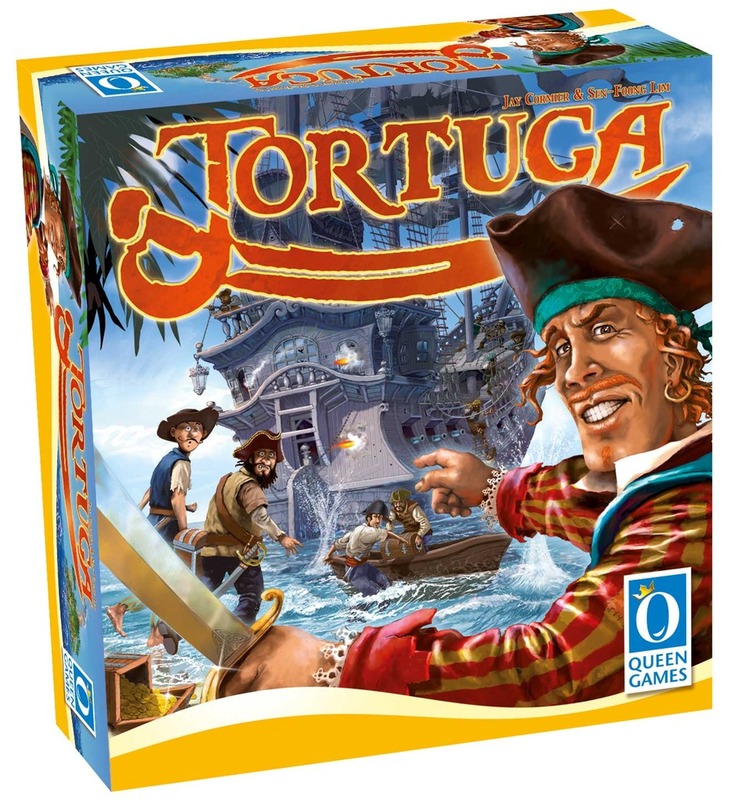 So if you have Tortuga already, please give these new advanced rules a try and let us know your thoughts.